How tasty does this look? It is both vegan & vegetarian friendly too! We also have a tasty scrambled tofu recipe too, click here if you haven't seen it yet! *Don't forget to check the Monash University Low FODMAP diet app for details of serving sizes and suggestions for low FODMAP vegetables! 1. 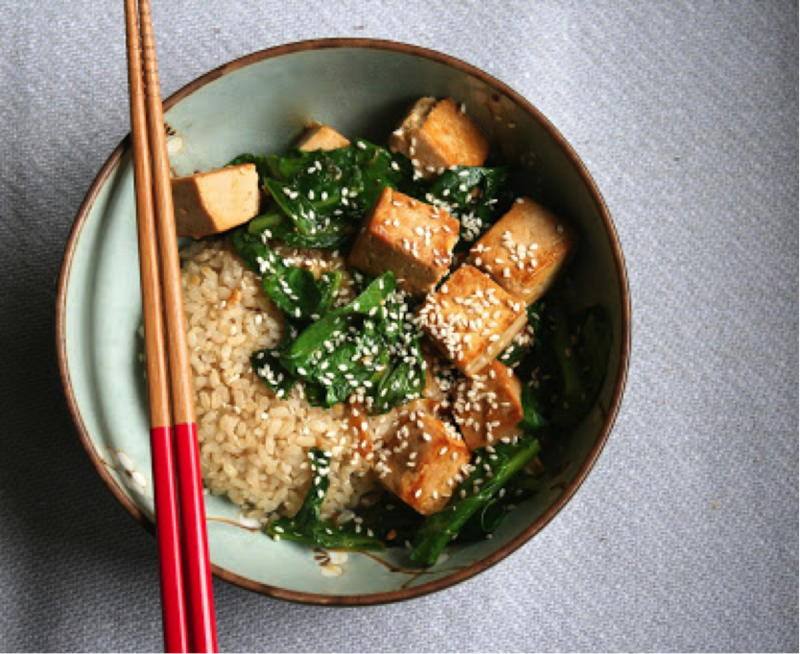 Mix the orange juice, soy sauce, sugar and ginger in a container and add the cubed tofu. Place in the fridge to marinate for at least 2 hours (but not more than 12 hours). 2. When you’re ready to cook the tofu, remove it from the marinade using a slotted spoon. 3. Heat the oil in a frying pan or wok over high heat and add the tofu cubes. Fry until golden brown. 4. Add the corn flour to the reserved marinade liquid and stir it with a fork to dissolve the corn flour. Add it to the frying pan or wok, and continue cooking until the marinade creates a sauce. Add the greens and cook over high heat, stirring, until the greens are wilted. 5. Serve with rice and garnish with some sesame seeds (approximately 1 tsp per bowl) and a few drops of sesame oil for extra flavour.